Looks around, sniffing air with tongue. Deals 295 Beast damage. Damage increases by 98 each time it hits. Max 492 Beast damage. Bites deeply into the enemy, dealing 394 Beast damage. On the next round, you attack, dealing 591 Beast damage. These guys don't look like death adders. They are much fatter snakes with a tail that gets thinner abruptly and the ones in WoW appear to be more python-like. Death adders are Australian venomous snakes and not as big of a problem as our red belly black snakes who are more prevalent and aggressive. Took me about 5+ hours of farming divided in 3 session to get one of these to drop, and it's a H/H breed. Feels kinda stupid to farm more for a chance at the S/S out of 5 possible breeds. Kinda annoying. Does anyone confirm that the H/H version is not completely useless for pvp purposes? This pet is awesome! It should always be in the top 5. IMO it should replace Xu-Fu hands down... but I am not complaining that people seem to have forgotten about it. You think Graves is a pest... remember facing these all the time? Nothing you could do seemed to make a difference. I still use it often. :D I laugh when players with Graves are on autopilot and they use their 2 main moves on blind. WHY is this pet ranked so poorly? It's faster than a speeding murloc and can blind for effectively two turns! On top of this it has great synergy within itself with Poison Fang causing Puncture Wound to do double damage! With the SS breed you get 341 speed, and can deal 560 damage with the enhanced puncture wound! On top of a potentially 2 turn blind! With the option of even taking crouch this thing is a powerhouse. I literally hate everyone using this in PvP. 9/10 someone has 1-2 on their team, and it's an annoyance. Really hope they change this pet up in WoD. A very versitile PvP pet in that it can find uses in almost any team as a solid third string (the S/S breed, of course) and can hold its own against MECH opponents. When built around the DAH, it's even more frightening to face. Switch up the order of using Blinding Poison and Puncture Wound. It's never fun for the opponent to switch before dealing double dmg. Keep them on their toes! When facing Flying pets, hit them with Poison Fang and then return later on. One of the best batle pet in the game with a lot of possible combo to play with. Can't understand why is so low rated in batle. One of my favorite pets, in the S/S breed especially. This pet is very hard to counter, it also effectively has a free swap out if it comes up against a counter such as a mechanical, however, Poison dots are strong vs them so even these are no real problem, not many pets can actually get an edge over their hard counter types, if I see a mech I will simply blind then poison and usally swap out, on a mech this dot is worth about 600dmg, which is basically free as they will miss 2 turns! 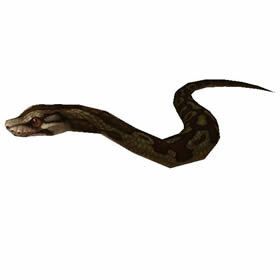 The S/S breed is best if you're playing the adder as a control pet. It's faster than most pets and its damage is good, it doesn't need extra power. The adder relies more on the speed. Blinding Poison functions like Dodge your opponent will end up missing two attacks if you're faster. The P/S breeds falls short of the 325 speed, simply too slow. By far one of the best pets for PvP right now. It's fast, hits hard, and can control your opponent. Making them miss key attacks or delay using them. I truly love my Death Adder Hatchling, but am having a hard time grasping exactly how Blinding Poison works. It seems weather 'attack-benefits' trump, the blind effect; i.e. Spirit Claws works in the Moonlight & Spectral Strike in the Darkness. But why do Blessed Hammer, Moth Balls and Infected Claw work while Blinding Poison is up? Am I not understanding how the tooltip reads? I have lost a few good fights thinking my strategy will work, only to be thwarted by strike through blind. This is one of the first snake-types that I think is actually worth the time. Like Vek said, this thing a powerhouse. 100% hit rates across the board, Blinding Poison coupled with Puncture Wound is doom, and so many breed options. Currently leveling a P/S, but I have an S/S as well that will eventually get maxed. Definitely worth a pickup if you can find it on the AH cheap or get lucky on a drop. True powerhouse this one. Get the S/S 341 speed one. Mine has killed many mechs even though it is a beast. Blind can really screw your opponent. It even makes traps and minefield miss when they are cast. But some things won't miss anyway so dont be caught off guard. Can also be very useful with Crouch and Viscious Fang, with Blind you will last a long time. Everytime you kill a Death Adder, there's a chance that an Imperial Python will spawn on the island. It can spawn in any of the Death Adder spawn locations. Same mechanic works for the rares: Emerald Gander and Ironfur Steelhorn (they don't drop pets) and Monstrous Spineclaw (does have a pet). A possible drop from the rare spawn, Imperial Python. He spawns in two locations, co-ordinates are: 25.8, 46.4 and 30.6, 36.6. I'm not sure how the respawn timers work on this guy, as I've killed him in one spawn point, only to see him immediately up again in the second spawn point. 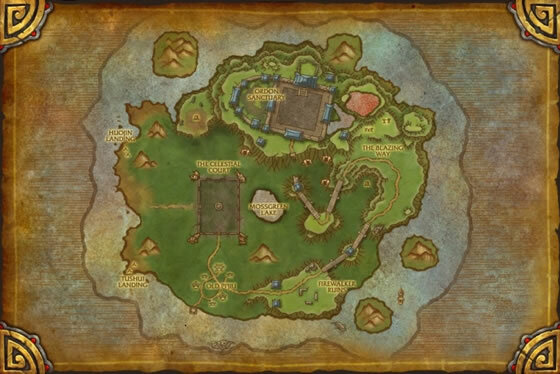 I would assume, however, that he shares the same 30min to 1 hour timer that most other rares have on the Isle. He has just under 4mil HP and isn't terribly hard to kill. I found mine after roughly 8 kills. He comes in 5 possible builds. I got the P/S build (my favorite) and I'm quite excited to begin using him, namely because of how his Bleed abilities will benefit his damage. Late in life, if the environmental conditions are correct, a Death Adder may shed its skin and undergo a transformation into an Imperial Python.